🤔 How Long Does Asparagus Last in the Fridge? 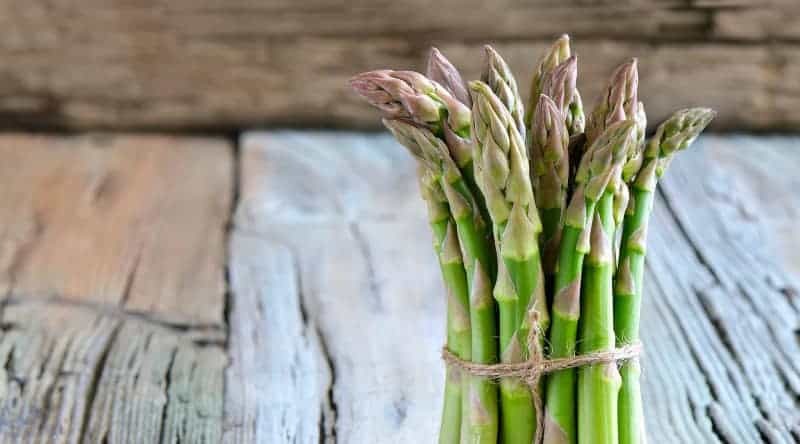 Asparagus- a vegetable that is full of vitamins and minerals, packed with everything good and healthy, has become an everyday vegetable and can be cooked in multiple ways. Asparagus might be one of the most important components of your favorite delicacy, a food you crave on bad days. But imagine having a bad day and finding your stored asparagus all mushy and limp, or the tips looking a bit slimy, emitting a foul odor? Yes, that the worst day ever! Why You Should Eat Asparagus? Does Asparagus Go bad? How Long Does Asparagus Last? How to Tell if Asparagus Has Gone Bad? 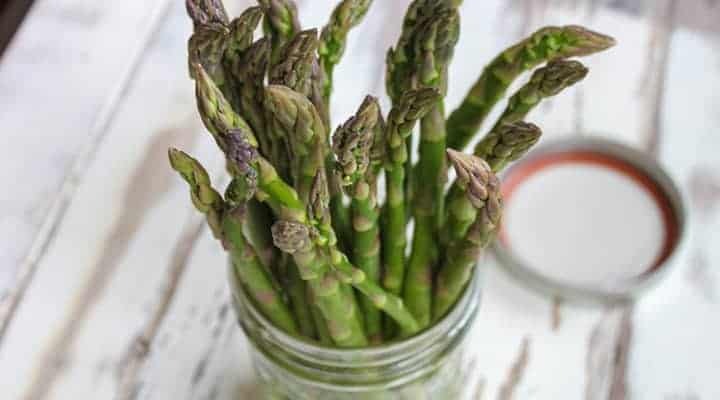 How to Store Asparagus Properly? Asparagus, a common herbaceous plant, is usually eaten when the shoots are still young and the buds have just started to open. They are packed with essential vitamins and are rich in antioxidants. Asparagus is low in calories and fat (one cup= about 30 calories) but is extremely rich is insoluble fiber. 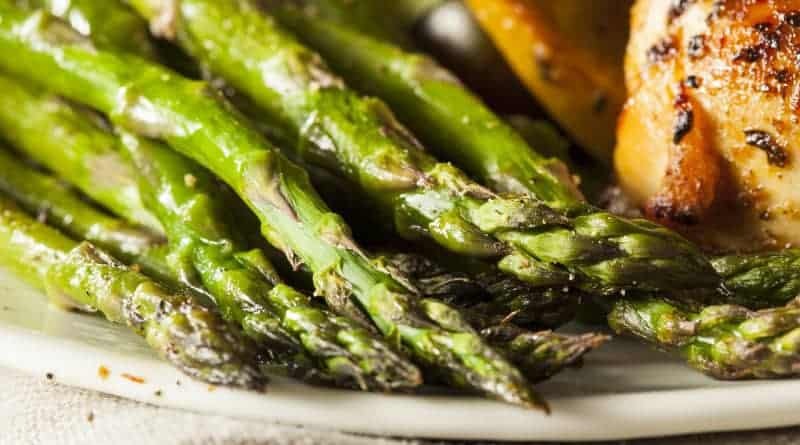 Since fiber is essential for weight loss, asparagus is a healthy alternative. Keri Gans, a dietician, and author of the book ‘The Small Change Diet' says that fiber helps stay satiated, hence reducing food cravings at odd times. It also helps in lowering cholesterol levels and aids digestion. Asparagus is rich in the amino acid asparagine, whose primary role in our body is to flush out excess fluid and salts. This can be correlated to the prevention of UTI- a disease common in the female population. Asparagus is rich in antioxidants, with serve as cancer-fighting agents. Hence, eating asparagus in any form will help keep occurrence of cancer at bay. Asparagus is also rich in Vitamin E but it will only be beneficial if eaten along with some fat such as olive oil. 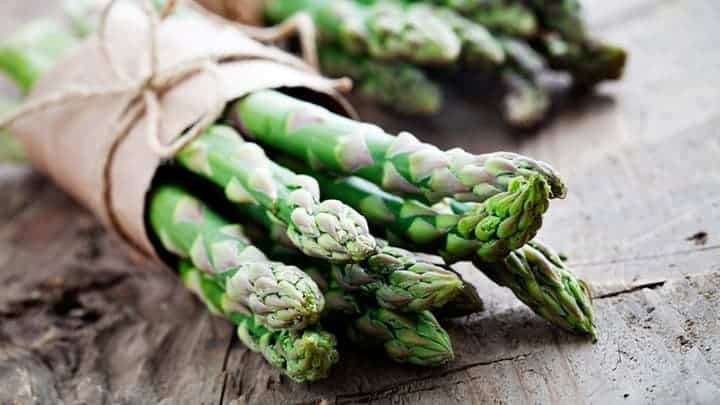 A few years back, Journal of Food Sciences conducted a research that indicated that asparagus can cure hangovers and protect the liver from the harmful toxins released during alcohol metabolism. Any type of food- packaged or natural has a definite shelf life. Shelf life can be loosely defined as the time within which the food should be consumed or the duration for which the food stays fresh and edible. Certain food items need to be kept at a set temperature (also known as Temperature Control) in order to ensure that the quality stays intact. Asparagus has a shelf life of about 5-7 days. This applies to both raw as well as cooked asparagus. There are a lot of reasons so as to why a vegetable/fruit gets rotten. The most important one in unhygienic storage. In stores, asparagus shoots are stored as a bunch. Each bunch has its ends immersed in water. This keeps the shoot fresh for a longer time. You can store the asparagus in similar conditions at home. However, for immediate consumption, the asparagus can be stored at room temperature or the fridge. Details about the storage are usually mentioned along with the packaging, but having a knowledge about the storage is necessary. Another important factor the determined the shelf life is the amount of water being used to store the stem. Excess water can cause cell necrosis or faster rotting of the stem. The water needs to be changed at regular intervals and the stems need to be trimmed. Avoid sprinkling water on the step when storing in a fridge or normal temperature. Asparagus tends to go soggy and limp if stored for longer durations. The first indication of the Asparagus gone wrong is the unpleasant odor that any rotten vegetable/fruit emits. Fresh spears have no smell, hence a clear indication. The older the shoot gets, it emits a characteristic odor. Any presence of such an odor ascertains that that spear is starting to rot or has already rotten. According to Eat by Date, initially, the tips turn dark green or black. This indicated fresh tips. If there is any discoloration in the tip, such as lightening of the color, the asparagus isn’t fit for consumption. The tightness of the bud at the apex is another indication of the freshness of the vegetable. If the bud is tightly packed and is hard, then the asparagus is considered fresh. And loosening of the bud structure should be considered a compromise with the freshness. The next indicator is by touching the tip. If on touching the tips, they feel mushy, there’s a possibility for rotting of the shoot. If the rest of the stem is intact, you can cut the tips off and cook the rest of the asparagus. If the shoot feels limp, that is, there is absence or rigidity in the stem, the asparagus might not be fit for consumption. One way of finding this out according to Paleoaholic is looking for that indenture that was due to the elastic or any thread holding the bunch together. If there is a dent in the shoot, the asparagus might not be as fresh as it looks. Old and rigid shoot tends to have a shelf life shorter than the fresh ones. 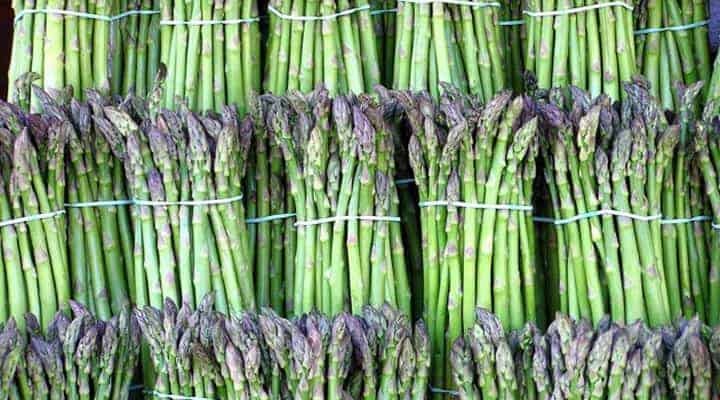 The stalk should be firm and dry and only fresh and young asparagus should be purchased to ensure a higher shelf life. If the condition has worsened further, there will be the presence of slime or mold and the vegetable is rendered inedible. Asparagus with slime or mold must be thrown away carefully in sealed bags. Different type of molds can cause various diseases in human, hence care must be taken while disposing of asparagus covered in mold. Freezing is an excellent way of keeping vegetables fresh. Raw asparagus can be stored for about 4-5 days in a refrigerator. Still Tasty advice you to wrap a damp towel at the base if the asparagus shoot and put in in a storage bag that is unsealed while popping it into the refrigerator. A freezer, on the other hand, can freeze the vegetable and keep it fresh and intact for about 10-12 months. This is one of the common methods being used worldwide to store and transport different food items, including meat. Freezing ensures no enzyme activity, hence preventing the growth of microbes and fungi, along with tissue necrosis. Wash the asparagus thoroughly and cut them into short pieces. Blanch the even sized pieces into boiling water followed by rapid cooling in ice-cold water. Remove excess moisture using a towel or tissue paper and store it in airtight bags/container in the freezer. This will ensure that the best quality is maintained for a long period of time. The temperature of the freezer should be maintained to prevent spoilage due to thawing and refreezing. Cooked asparagus stays good for about 3-5 days in a refrigerator and about 10 months in the freezer. Care must be taken to preserve asparagus. Since the taste, as well as shelf life, depends on the freshness of the shoots, only fresh asparagus should be purchased. It is advised to buy only the quantity of spears needed rather than buying and storing huge amounts. Storage, however, depends on the time of consumption. In case of immediate consumption, asparagus stems can be immersed in water and stored at room temperature. Spears can also be stored in the refrigerator and freezer, to ensure freshness for a longer time. Decide the type of storage based on the freshness of the shoots. Fresh shoots can be stored both at room temperature as well as the refrigerator. Older shoots should be stored in the refrigerator in unsealed bags and cooked as soon as possible. The best way to ensure freshness according to TheKitchn.com is to store the asparagus with its rubber band intact and dip it in a 2-cup measuring cup. Remember to trim about one inch of the end before keeping them in water. Cover the setup with a clear plastic bag and store. You can change the water a couple of times, especially if it appears cloudy. Treat asparagus as an herb. Preserving an herb requires that you ensure that needs to stay hydrated. In case of storage for a longer time, asparagus stem can be cut and boiled and frozen in an airtight container. Same applies to cooked asparagus. Cooked asparagus, however, has a shorter shelf life and hence, should be consumed faster. 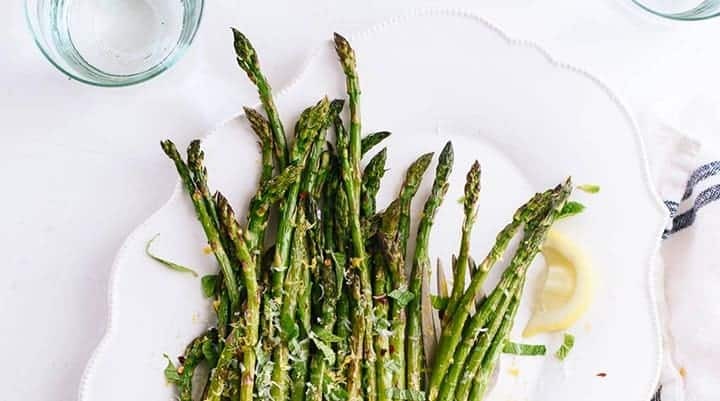 Asparagus makes an excellent cooking ingredient and is, definitely a healthier alternative, especially when life has become so busy and there's no time for proper food or diet. Asparagus is rich in vitamins, minerals, and antioxidants, all of which is essential for growth and nutrition. Asparagus also contributes to a happier mood and reduced hangover due to alcohol intoxication. To ensure you get all these benefits out of asparagus, it is essential to eat fresh asparagus. It might be impossible to buy fresh asparagus every day, hence, storing them in a hygienic environment is essential. Asparagus needs to be kept hydrated, which can be achieved by immersing the shoots in water. Freezing is another alternative and is the preferred method if the vegetable needs to be stored for time periods longer than 6 months. Freezing can compromise with the taste as well as the nutritional value of the asparagus.